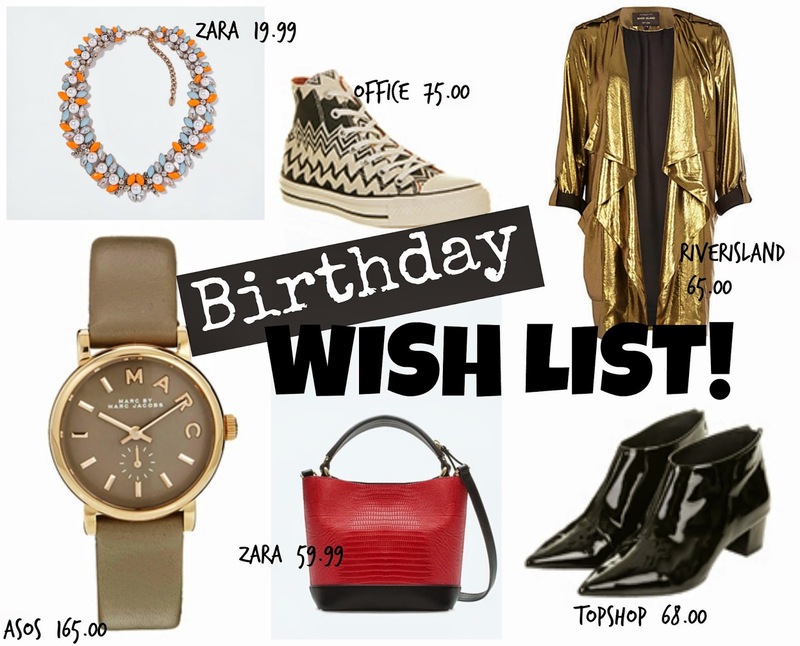 It's my birthday tomorrow and I've gone all moody teenager and asked for money this year instead of gifts as I seriously need to revamp my autumn/winter wardrobe. I feel like the past few years I've worn the same boots, coats and jumpers as they've lasted so well but I'm a little sick of seeing them and feel I need to add a few pieces to make it feel fresh again so the above are on my birthday wish list. I NEED them all, surely they all class as essentials? No? Well they should do!